The festivities begin on Friday, January 30th. 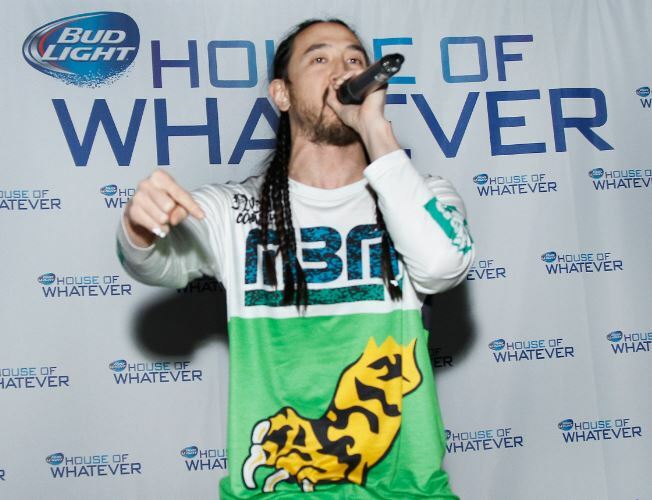 Bud Light’s House of Whatever main event is much more than a concert anchored by A-list talent; it’s a musical story full of “Up for Whatever” moments that is sure bring out the animal in all of us. In true “Up for Whatever” fashion, the full theme and artist line-up will not be pre-announced. 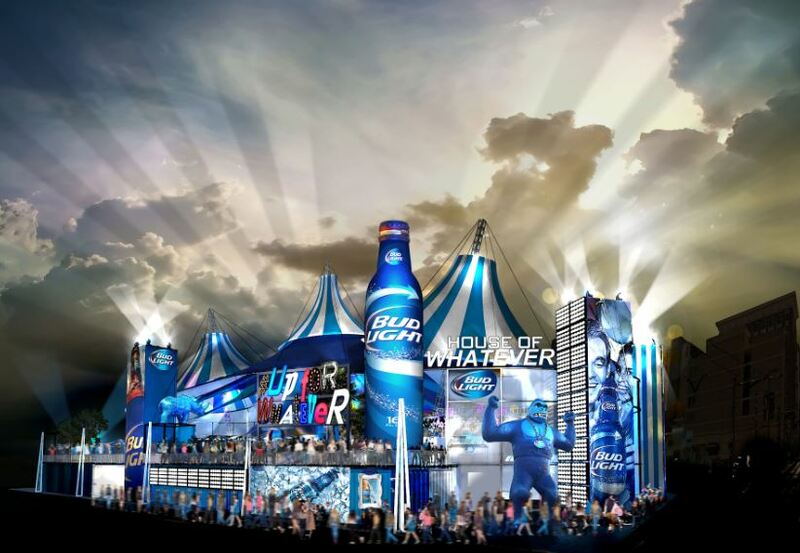 Experience the ultimate Bud Light House of Whatever tailgate and concert. After the show, stay and watch the Super Bowl on the big screen in unique (and extremely comfortable) stadium seating that only Bud Light House of Whatever can provide. I can tell you with absolute certainty that if you’re reading this 20 years from now, Google searching your true lineage, there is NOTHING you have to be embarrassed about. Bud Light wanted to create the ultimate party weekend and they absolutely nailed it. At one point during the three days I spent in Whatever, USA, my body composition was roughly 87% Bud Light. But it wasn’t just the endless, literally endless, supply of Bud Light, or the fact that Bud Light was being foisted upon you at every turn, that made Whatever, USA so great. It was the onslaught of once-in-a-lifetime events piled on top of each other, sandwiched between meeting great people from all over the world with one common denominator: being #UpForWhatever. Here’s some background: From roughly 204,000 video submissions, 1,000 #UpForWhatever winners were selected, given 48 hours to grab a friend, pack their bags and leave for Whatever, USA. In store for them were three days and two nights of activities, epic adventures and unexpected performances at Whatever, USA. On the surface, you would think that bringing 2,000-plus strangers into a remote location and feeding them Bud Light products exclusively for three days couldn’t help but end badly. But it was the exact opposite. 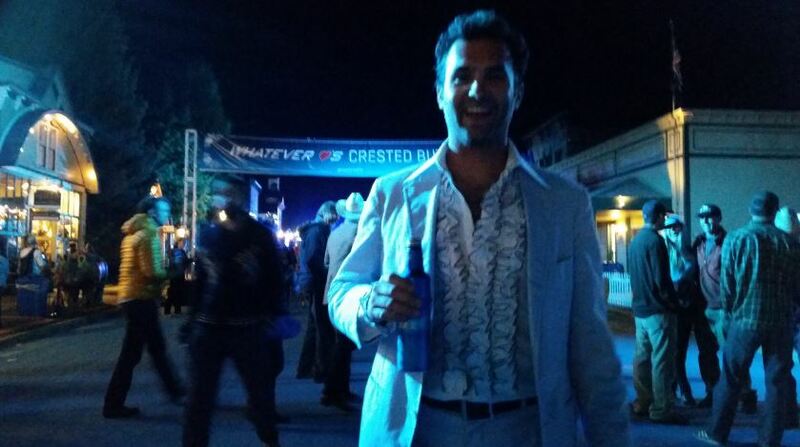 It was like everyone was cut from the same #UpForWhatever cloth.